Sometimes, you only need a few things to feel cozy and content during those cold winter days and, for me, wearing a warm comfy pair of snowflake slipper socks is definitely one of them. 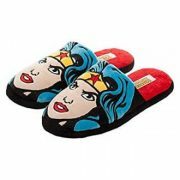 So, why not changing the saying ‘cold feet warm heart’ to ‘warm feet warm heart’ instead, which best applies to the situation, and look at some really cute snowflake slipper socks for women and men. They make lovely Christmas gifts, and you can also use them as Christmas stockings. 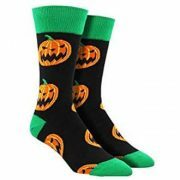 I love their bright colors, cute designs and the fact that they can be worn with jeans and tights, creating the perfect cozy indoor look for lounging around the house during those festive days. 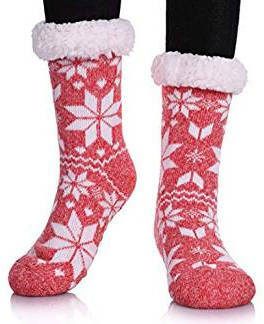 Whether in red, light purple, rose red, blue, gray or black, these Dosoni knee high snowflake slipper socks are full of lovely looking snowflakes and they are good quality, too. 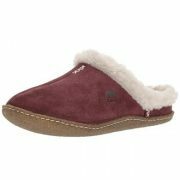 The materials used are soft and fully while the lining is super thick fleece. The bottoms are non-skid. 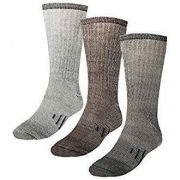 They come in one size that fits women US size 5-10 and can also be used as thermal socks. Super thick and warm, they insulate great from cold floors. Good grip but some users have reviewed that they could feel the silicone grips when walking, which made it a bit uncomfortable. 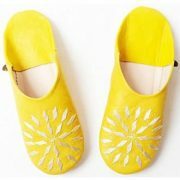 Are you looking for snowflake slippers that can be worn both from mom and dad, grandma and grandpa, uncle and aunt? 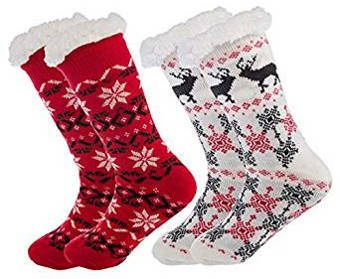 These Pudus ankle high slipper socks are unisex and come in a really big variety of pretty designs including snowflake. The outer layer is made of acrylic while the lining is of polyester. There are different colors of snowflakes and there are silicone grippers on the bottom. They can be machine washed inside out in cold water. Cozy, warm and super soft. Can also be worn like crew socks to increase warmth. The ankles are not tight and they do not fall off. Helpful Tip: Wash them inside out to prevent pilling. 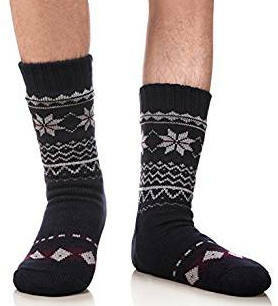 If your hubby, boyfriend or son is feeling jealous of your awesome Christmas snowflake slipper socks, you can share some socks love and not keep it just for yourself. 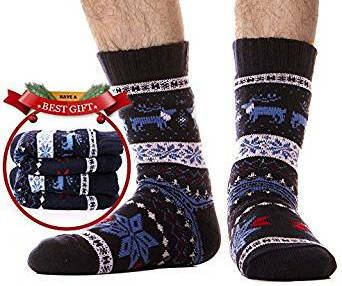 These snowflake reindeer slipper socks for men come in some great looking colors and designs that can make the recipient feel very proud about his socks. The quality is good, too. 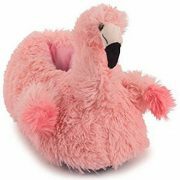 They are made of multi-layer fabric and feel warm and fuzzy. The thermal yarn provides insulation and is breathable. It does not cause any itching and is suitable for teen boys as well. Hand washing is recommended and ironing should be avoided. Well-made, thick, warm and soft. Stay fluffy and nice after washing and drying. 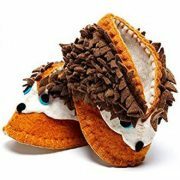 If you want more fun elements in your slipper socks, these cartoon animal snowflake slipper socks will not disappoint you. 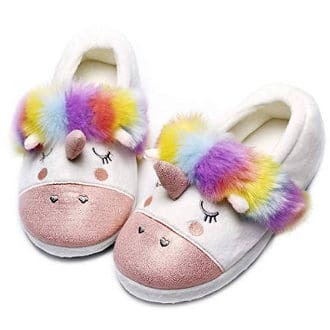 You can choose among snowflake rabbit slipper socks, snowflake owl and snowflake bear, but there are also other cute designs available with dog, unicorn, raccoon, cat, penguin, sheep, Santa Claus, and snowman. These crew cut snowflake slipper socks are fleece lined and have a padded insole and grippers on the bottom. 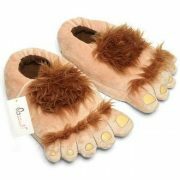 You can wash them in warm water and tumble dry. Fun gift for Christmas and other occasions. 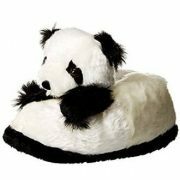 Very soft, warm, fuzzy and comfy. One pair of snowflake slipper socks is never enough, I have recently come up to this conclusion. With a 2-pack of snowflake slipper socks, you get more options to suit your home outfit and when one pair needs washing, you still have another one to wear. 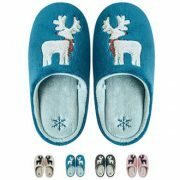 These thermal slipper socks come in 3 different snowflake designs that combine snowflakes with reindeers, hearts, Santa Claus and other fun elements. 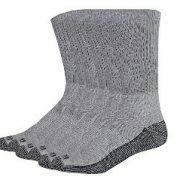 These are double layer knitted fuzzy and warm socks that can be machine washed and fit shoe size 6 to 10. Not stretchy enough for some users. Not suitable for people with a little thicker calves. If Christmas season is the only period you have some free time to lounge around the house calmly, why not make the best out of it wearing a comfy and warm pair of snowflake slipper socks in different attractive colors? 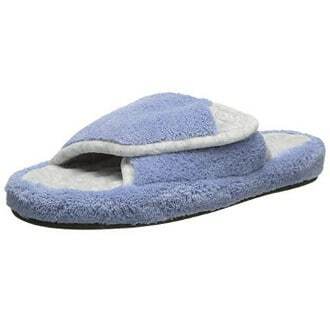 These thermal slipper socks are elastic, thick and breathable so they won’t cause sweating or unpleasant foot odor. 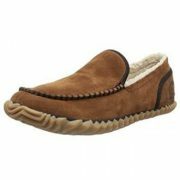 They are made of polyester and come in one size that fits men’s US size 6 to 11. Hand washing is recommended to make them last longer. Soft, warm and fuzzy lining. Hold up well even after repeated washings. 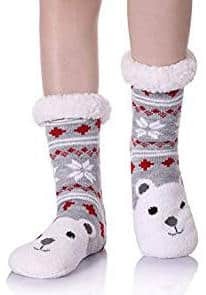 With ice skates, snowflakes, hearts, and reindeers, these snowflake slipper socks for women come in various beautiful colors that can draw extra attention to your feet. 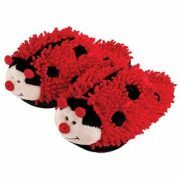 They also have a fluffy lining and gripper dots on the bottom. It is recommended that you wash them in cold water. Thick and wash well. Some people have washed them on light cycle with no problem. 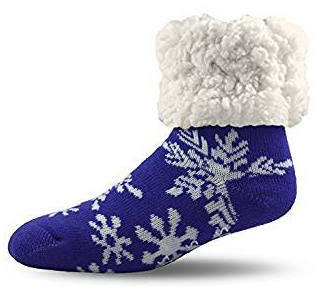 These super cute looking snowflake slipper socks are available in some lovely colors including wine red, blue and purple. 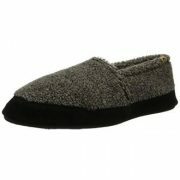 They are thick, warm, cozy and soft, and are available in one size that fits women US size 5-10. 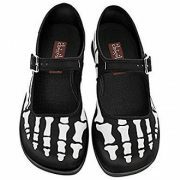 Good both for slender and wider feet. 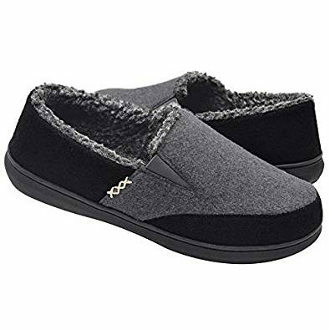 If you are looking for warm winter slipper socks that are also fun to wear during Christmas, snowflake slipper socks for women and men make a great gift for you and your loved ones.